Thank you for your interest in the book evolve. This is an excellent gift for yourself and others. 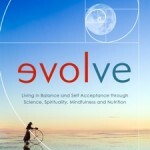 evolve is a comprehensive handbook for the courageous seeker of truth, the ‘edgerunners’ as Mark calls them. It’s a fun easy to read blend of science and spirituality. A modern guide that integrates a serious message in a light-hearted manner. 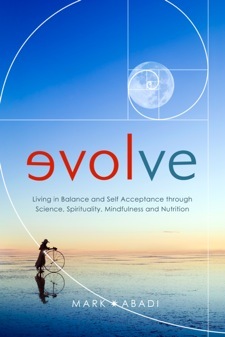 evolve offers practical tips and tools to increase balance and wellness, supported with well referenced science. The book comes in soft cover, hard cover and e-book editions. We have kept the cost of printing and postage of the print versions as low as possible so we can give you the best deal. Both printed books are beautifully produced to the highest quality. The hard cover edition is, however, printed on hard cover not with a paper sleeve but printed directly onto the hardback board. It is a collectable item for those who desire to have a timeless guide to living in balance and holistic wellbeing. To purchase your book, select from one of the editions shown below. Cost for shipping to your country will be added when you go to checkout. Don’t worry about the currency each person will be charge in their local currency. Requires compatible E-Book reader software, not included to this purchase. Compatible E-Book reader: Mobi & Epub: Apple iBooks, Amazon Kindle. Well done with Evolve, it looks to be quite the read. I’m trying to purchase it, but there seems to be something wrong with the link provided.